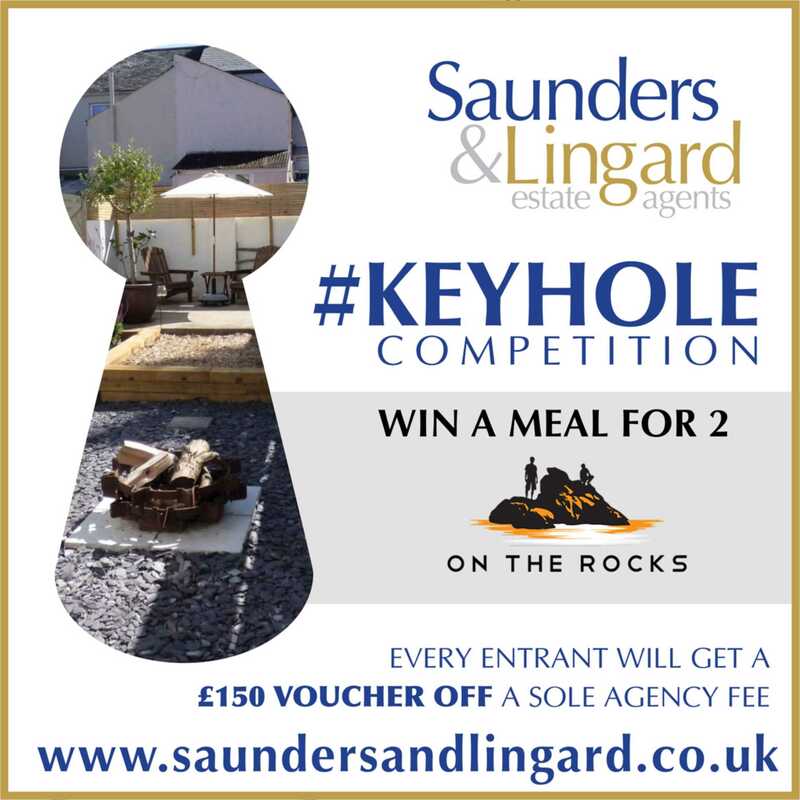 Saunders & Lingard - News- KEYHOLE COMPETITION !!!! WIN Dinner at fabulous On The Rocks restaurant!! Each week a detail from one of the properties we are marketing on our website will appear on the #Keyhole competition. All you have to do is use your keen eye and spot which property the image has been taken from! The image will change each week, so you`ve got lots of chances to detect the right home! The winner of the On The Rocks dinner, with a value of £50, will be picked from correct entrants at random on 24th November 2017, and must be prepared to participate in publicity relating to the prize. All competition entrants will also qualify to receive the Saunders & Lingard Discount Voucher of £150 (Inc. VAT) and will need to supply an email or postal correspondence address. The Discount Voucher must be presented when the property is valued and is redeemable at the completion of the sale of the property, and will be deducted from the Saunders & Lingard final invoice. Entrants must be aged over 16 years to participate. The voucher is only valid for a Sole Agency agreement, is not available in conjunction with any other offer, and is subject to our minimum fee.